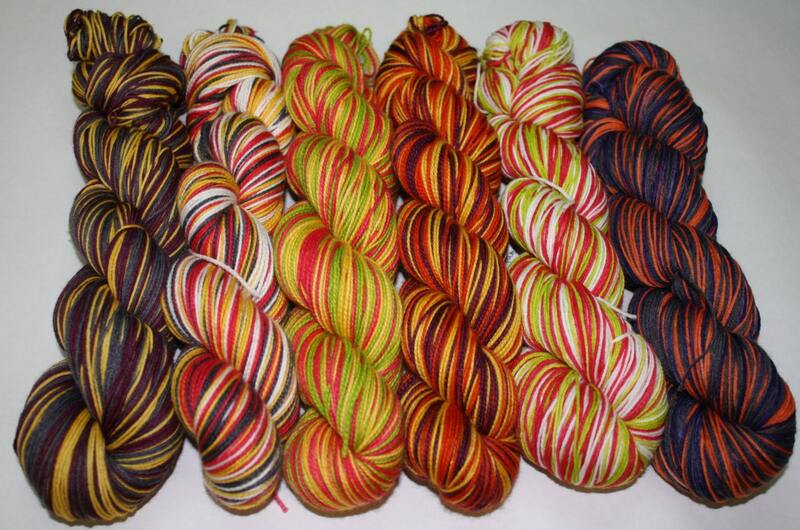 Design your own self striping sock yarn with the colors of your choosing. Pick 2 - 4 colors that you would like in your yarn. There will be 5 rows of each color for 2 and 3 colors and 4 rows of each color for 4 colors. I am able to do most colors so let me know what colors you would like along with shade preferences and color order in the notes to the seller.